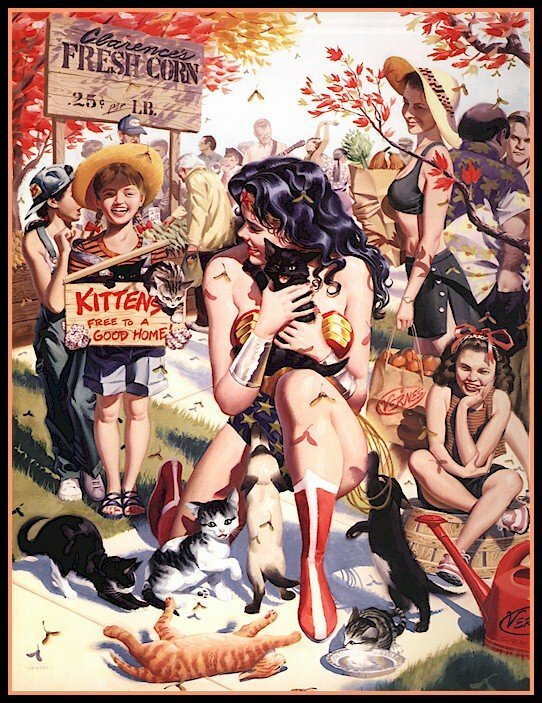 Wonder Woman is captured in a very light-hearted moment, surrounded by kids trying to give away kittens to a good home. Diana Prince giggles as she picks up a stray cat, the kids are happy. A mother looks on from the background. A sign advertises fresh corn. This is the heart of rural America and this piece almost looks like Norman Rockwell could have painted it. I think it's wonderful. I already feel cheerful. Nuff said.